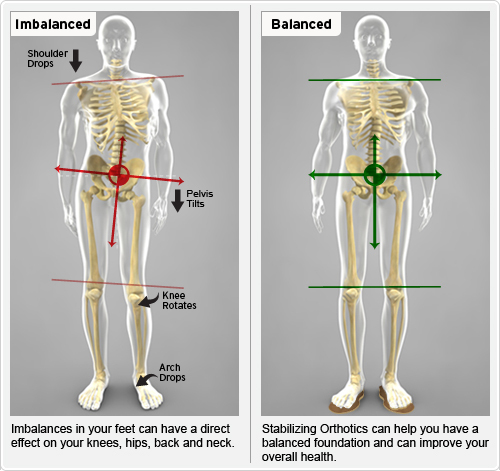 As a chiropractor in Freehold, every day I take time to research different articles and research on many health topics as I like to share all types of health information with residents of Freehold, NJ and surrounding communities of Marlboro, Manalapan, Howell, Colts Neck, Howell and Jackson, NJ. Today I found an article and video that hit home as I also perform flexion/distraction technique to help my patients with disc problems in their spine. Dr. Kevin Venerus’ blog about degenerative disc disease and chiropractic was very informative about how flexion distraction is very effective in treating varying forms of disc disorders such as bulges, herniations, and slippage, but also beneficial for stenosis, facet syndrome and spondylolisthesis. As a Livonia Chiropractor, Dr. Venerus is well versed in flexion/distraction technique and helping patients with disc problems of the neck and lower back. This technique actually helped me when I injured my L5 disc. Nothing else was able to relieve the pain or get me back on my feet. It prevented me from enjoying my normal activities, but upon being introduced to flexion/distraction, I was quickly back to normal. Due to this experience I learned the technique to help my patients suffering with lower back pain due to herniated discs. It has a highly successful result of around 85% without the harmful side effects of drugs or surgery. ACCOUNTABILITY… If you think BP should be held accountable for the Gulf, Who should be held accountable for YOUR health? Hello. My name is Dr. Brokstein, and I am one of the leading chiropractors in Freehold, New Jersey. I was just thinking about how we are currently seeing one of the most tragic environmental disasters of all time. In the Gulf of Mexico oil is taking over the eco-systems and endangering wildlife, the economy, food, water and much more. In the news we keep seeing how BP needs to be held accountable for what happened, as this dangerous substance (oil) is killing living organisms. Many are complaining BP didn’t have any checks in place, precautions taken, or emergency plans just in case. How is this different than what you do to your body every day and our current health care system? Let me explain….I think all people should be held accountable for their own health! Just like BP is responsible for this toxic soup in the Gulf, each person is doing a similar thing every day by pouring toxic and unhealthy substances in their body, and on their body. If you continue to choose to put toxins in your body…. you are endangering YOUR system! You are increasing your risks of disease and illness as you put more caffeine in your body, smoke cigarettes, drink sodas and other drinks or products filled with High Fructose Corn Syrup, diet drinks with aspartame and other artificial sweeteners, processed foods, genetically engineered foods, lotions, soaps & cosmetics filled with chemicals..the list goes on and on. To top all those toxins… Americans poison their bodies more as we consume 75% of the world’s medications causing serious side effects, yet Americans life expectancy ranks 42nd in the world. If we use the most drugs, than why is our health the worst of all developed nations? These drugs are just a mask of symptoms that in truth are just another toxin being put into your body. Then to top it all off, Americans think they have the right to “poison” their body daily, causing health issues…but that our government should cover the costs. This is as absurd as thinking that the government should cover the costs of what BP was irresponsible with in this disaster. If you are to be careless of not doing things to help maintain and prevent health issues, you should be held accountable and responsible for the health costs you incur! Are you ready to be held accountable for your health? Whether you have headaches or migraines, back pain, neck pain, stress and anxiety, disc problems, arthritis, sciatica, fibromyalgia, allergies, asthma, ear infections, digestive problems, or a weak immune system and you are ready to take control of your health and live a happier lifestyle, I can help. If you are striving to be optimally healthy and prevent future health issues, we have natural programs to assist you. If you live in Freehold or the neighboring towns of Marlboro, Howell, Manalapan, Colts Neck, Jackson or other neighboring towns in Monmouth County, schedule a complimentary consult at our office, Hometown Family Wellness Center located at 9 Broadway in Freehold, NJ. I will perform a thorough computerized state of the art nervous system exam, adrenal function test to see how your body is handling stress and measure your toxicity levels. I will show you how you can take accountability and turn your health around.